Altered Instinct: Where in the world can I buy Tales From The Tavern? Where in the world can I buy Tales From The Tavern? 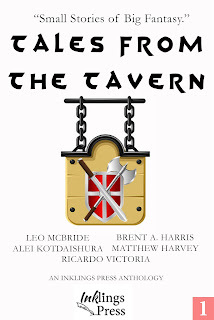 Editor's note - From December 27-29, Tales From The Tavern is FREE on Amazon. Hurry, hurry! One of the oddities with selling on Amazon is that it has stores around the world. You might click on a link we've tweeted out only to find yourself in a different regional store. So... to make life easier for you, here are the collected links to stores around the world selling the fantasy collection from Inklings Press, Tales From The Tavern. Five tales of fantasy from five new writers. In The Bear-Trap Grave, Brent A. Harris examines the meaning of friendship for people isolated from civilization in a story from the edges of a fantasy realm. True story, by Alei Kotdaishura, examines how often the ‘official’ version of an fantasy tale rarely has any similarity with the... true story. Matthew Harvey brings a traditional fantasy story in the form of Battle at Veldhaven, a real treat of the genre. Silver Horn by Ricardo Victoria is a more comedic take on the traditional heroic quest as a young man discovers more about his own past while taking on his epic journey. 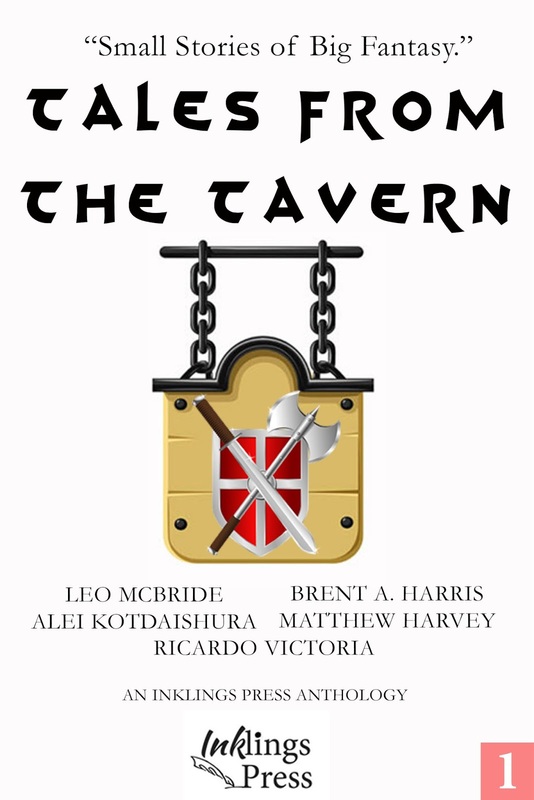 In A Taste for Battle, Leo McBride uncovers the aftermath of a drunken rant by a charming rogue that ends with him and his friend in a rough spot against an invading army. The US and associated countries using Amazon.com: Buy here. We'd love to hear your thoughts on the book - so if you have posted any reviews you could tweet our way that would be great. Or just catch up with us for a chat at @inklingspress.